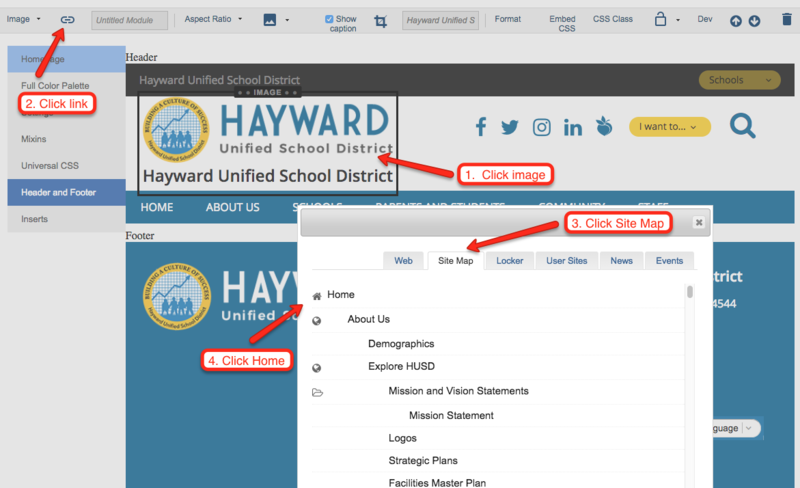 This article provides instructions on how to include a link on your homepage logo. Go to the School Loop website. Click on the image or logo that you want to link to the homepage. Click on the link icon located at the top left hand side. On the pop-up window, click on Site Map. Note: The same steps can be followed to include any image as a link to a desired location. Click Link> Image> Site Map and then go to 'Home'. This displays the chosen link as an image on the homepage. Once step 4 has been completed, the chosen image/logo will appear on the homepage as a link.